For many drivers who commute long distances, the prospect of owning a self-driving car — where a driver takes his hands off the wheel and feet off the gas — has been an elusive dream. But on Thursday, Elon Musk, chief executive of Tesla, took a big step in that direction when he announced that the maker of high-end electric cars would introduce autonomous technology by this summer. The technology would allow drivers to have their cars take control on what he called “major roads” like highways. 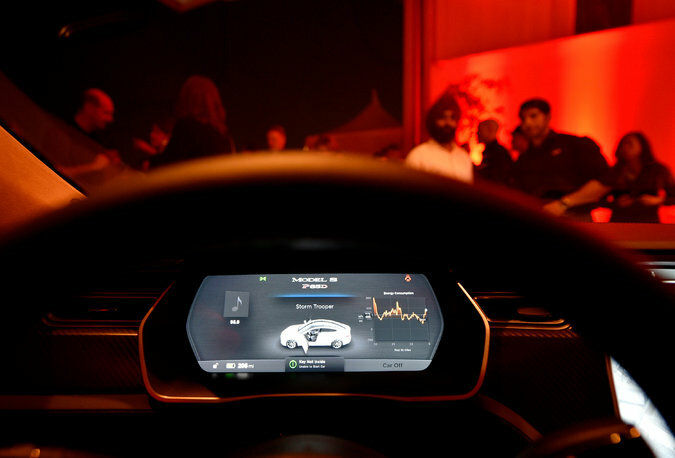 Mr. Musk said that a software update — not a repair performed by a mechanic — would give Tesla’s Model S sedans the ability to start driving themselves, at least part of the time, in a hands-free mode that the company refers to as autopilot. Mr. Brauer said while a handful of states had passed laws legalizing autonomous vehicles, those laws were written to cover the testing of driverless cars, not their use by consumers. Ms. Georgeson said the system was designed to be used by an alert driver. “We’re not getting rid of the pilot. This is about releasing the driver from tedious tasks so they can focus and provide better input,” she said. There are cars on the road today from the likes of Mercedes-Benz, Infiniti and Honda that have the capability of driving themselves on the highway. But the automakers have taken steps to prevent actual autonomous driving in such cars, and instead require consumers to keep their hands on the wheel. A few seconds without touching the wheel, for example, and a warning is sounded; the cars then simply come to a stop. What Mr. Musk said Tesla was planning for this summer, however, would be a revolutionary step, said Jessica Caldwell, an analyst with Edmunds.com. Tesla is not alone in pushing the envelope. Chris Urmson, director of self-driving cars at Google, raised eyebrows at a January event in Detroit when he said Google did not believe there was currently a “regulatory block” that would prohibit self-driving cars, provided the vehicles themselves met crash-test and other safety standards. Other automakers are in fast pursuit of similar self-driving features. Cadillac, for instance, said last year that it would make a so-called supercruise feature, allowing hands-free highway driving, available in its 2017 model year cars. But analysts say the industry is banking that new state or federal rules will be in place by that time. Mr. Musk said on Thursday that Tesla had been testing its autopilot on a route from San Francisco to Seattle, with company drivers letting the car navigate the West Coast largely unassisted. After the software update this summer, the cars can also be summoned by the driver via smartphone and can park themselves in a garage or elsewhere, he said. That feature, though, will be allowed only on private property for now, he said. Carl Tobias, a law professor at the University of Richmond, said the question of liability for autonomous cars would have to be worked out, possibly through court cases, as insurance companies, manufacturers and individuals fight over who is responsible. Mr. Musk also announced on Thursday that a software update within the next two weeks would give Tesla owners a new set of active safety features, including automatic emergency braking and blind-spot and side-collision warnings — features that are now available on a broad range of cars. Also to be added are tools to help drivers monitor the status of charging stations and plot routes to ensure the ability to complete a trip without running out of battery power. “It’s basically impossible to run out, unless you do so intentionally,” Mr. Musk said. The move is intended to help reduce so-called range anxiety, the fear drivers have that their battery will run out, prompting them to constantly calculate distances and worry about being stranded. The Model S sedan already has a range that starts at just over 200 miles for the base model. Other automakers have plans to match those numbers in the coming years. Nissan, whose Leaf currently has a range under 100 miles, has announced intentions for a 250-mile-range electric car, and Volkswagen has said that it will build a car that can go 300 miles on a charge by 2020. General Motors unveiled its effort at a 200-mile range electric car, the Bolt, this year at the North American International Auto Show in Detroit, and in February said it would begin building the car in late 2016, with a target price of about $30,000, after zero-emissions tax breaks.